OSAGE BEACH, Mo. (AP) - A state agency acknowledges that it withheld a report for four weeks that showed the Lake of the Ozarks had E. coli above safe levels. The Missouri Department of Natural Resources said it withheld the report around Memorial Day because of concern that releasing it would hurt tourism and business around the lake. The Kansas City Star reported Thursday. DNR spokeswoman Susanne Medley said the agency wanted to make sure it didn't panic the public. But some critics say the decision not to release the report immediately was a cover-up that put the economy above public health. I would like to visit this place soon. 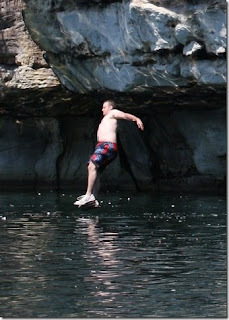 According to other people lake of the ozarks is great and relaxing place..Thanks for the picture..